'10mm dynamic driver: The custom tuned 10mm dynamic driver satisfies the High Res Audio standard ensuring great clarity and a balanced sound signature. High Definition sound stage: In order to achieve a spacious sound stage, A&D adopted a Dual Air Chamber acoustic Design and licensed the High Definition Sound Standard (HDSS) www.hdss.com . 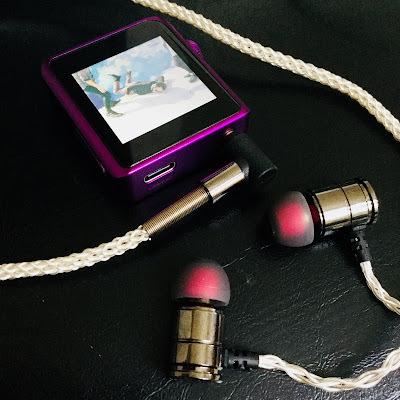 Both technologies serves to reduce distortion in earphones, improving clarity and soundstage. 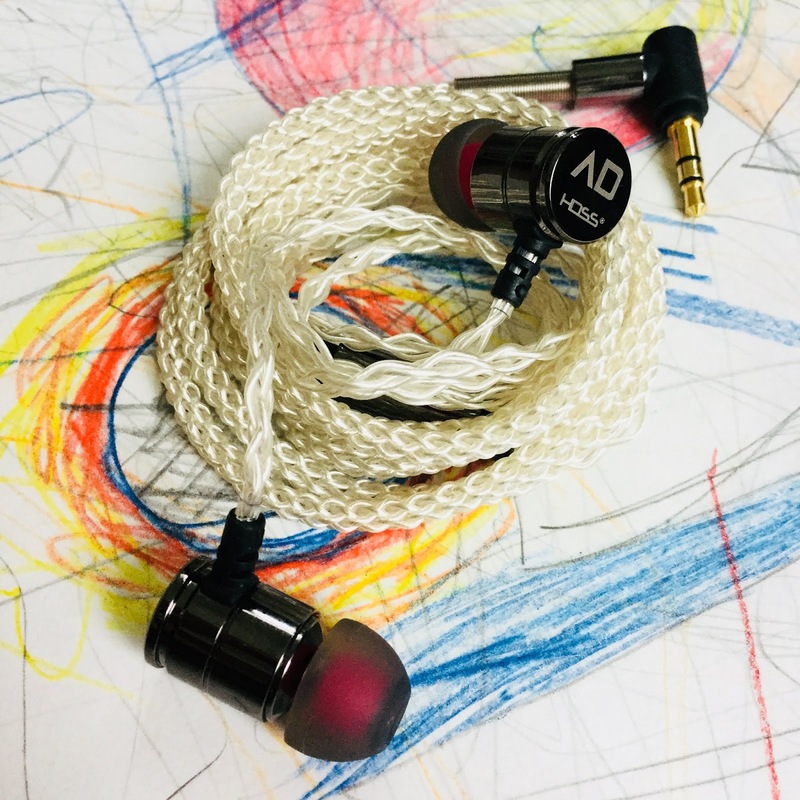 'Eight Core silver plated copper cable: Most earphones use the 4 core cable. 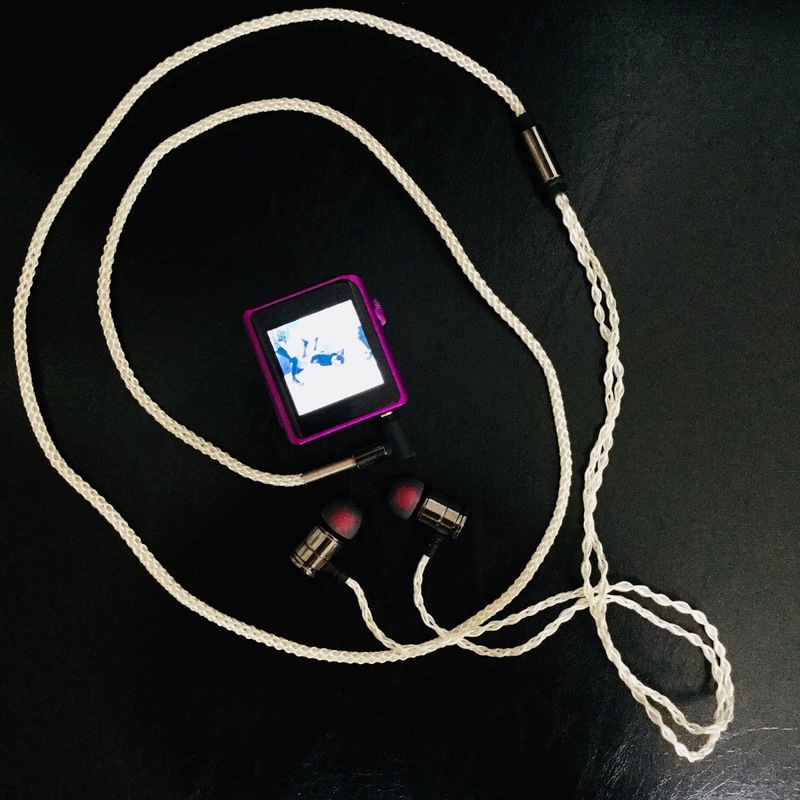 Once breakage occurs in one of the cables, the earphones cease to function. However, our 8 core (SPC) cable ensures that the earphones continue to function even when one of the cables breaks. A beautiful cable to be sure, a pity it is a fixed cable and not MMCX or two pin and removable. The removal of reflected waves also allows speakers to disperse sound coherently, allowing for a naturally projected sound stage. As per usual to keep both warring camps of burn in happy they were given 100 hours prior to review, because to one its important, and to the camp its irrelevant. Once again every body is happy. Various daps were used to get an average of sonic signature, to see whether it stayed consistent or fluctuated. Standard 16/44 flac was mostly used. The Alpha & Delta D6 is a single 10mm dynamic driver. A usual winner in the earphone world. One driver usually being more easier to tune than many BAs in one shell. They are easy to drive with their low impedance. Light weight and hang down comfortably. Stock tips. 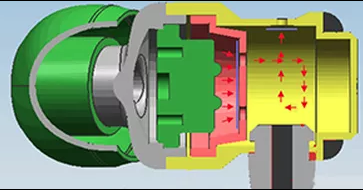 Silicone small bore. Opus SE is 2 Ohms OI. Opus#1: has the vocals forward, music melodic in the background. Good resolution, spacious. Opus#3: presents more of a balanced sound with vocals slightly above the music, spacious. Opus#2: More full bodied sound, more layered, more low end, more nuanced. 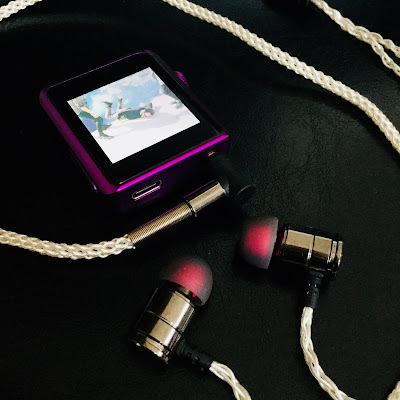 Overall the similarities were there and there were no glaring leaps and bounds, the D6 stayed fairly consistent in its performance, not much scaling up as such - a bit, but its performance is more than adequate for the price. Full bodied sound, sound stage medium. It doesn't seem to reach particularly far into the depths of the sub bass or extend endlessly into the treble but the range is far enough to satisfy. Good timbre. Nice detail. The little darling beastie makes its entrance. Possibly my favorite match, just enough low end, air and treble to please. Comes across as fast and responsive. More airy and spacious due to the treble, $99 plus $100 and off you go. I changed to the red silicone tips (wide bore) and theres a bit more low end and mids action. A bit more pleasing to my ears. The D6 came alive a bit more, more intimate, and the mids come more into play, vocals smoother. Alpha & Delta D6 and iBasso IT01. The IT01 is more fuller sounding, and has more body overall. The IT01 seems to be more even orientated. A something for everyone. The D6 is bit more laid back and has more an emphasis on the mids and treble. A bit of tip rolling might give some other results. 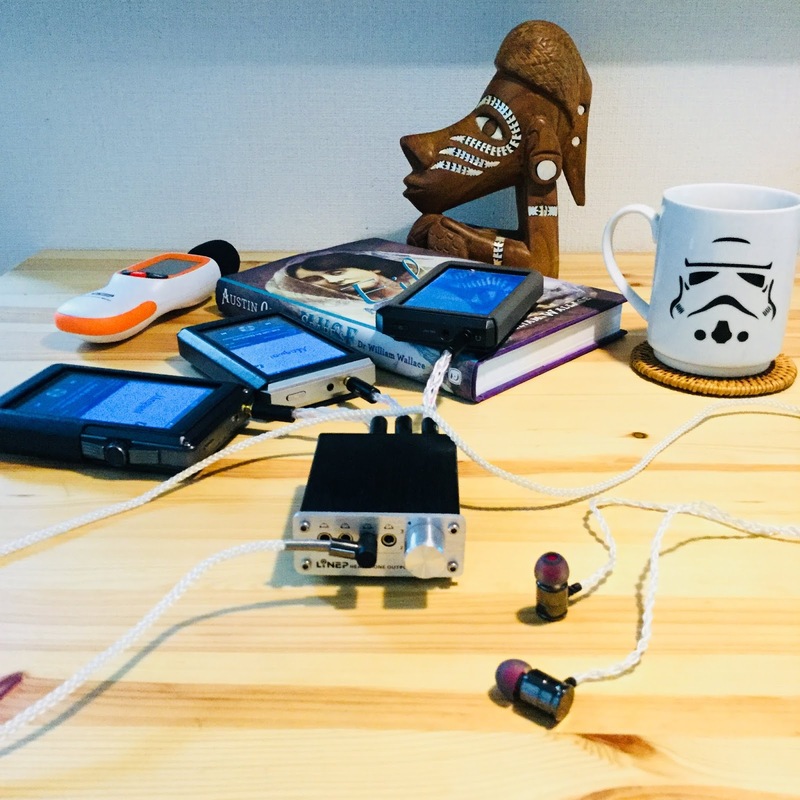 The Alpha & Delta is a an earphone thats easy to like. Easy and comfortable hang down style (or over ear), with a comfortable fit with no annoying edges poking into the ear with the nozzle just long enough to avoid such trouble. The D6 is a DD earphone that has balanced and coherent sound, the emphasis is more in the mids and treble area, but the bass can kick in at the appropriate time. I has a surprising sound stage for the price (more wide than deep), the detail and imaging is also very good. Although it doesnt dig deep into either end, the sub bass and treble reach enough without getting too overwhelming for the former, or sibilant for the latter. The build is solid and has stress relief where it counts. The cable is beautiful and its a pity it is not removable. The Alpha & Delta D6. 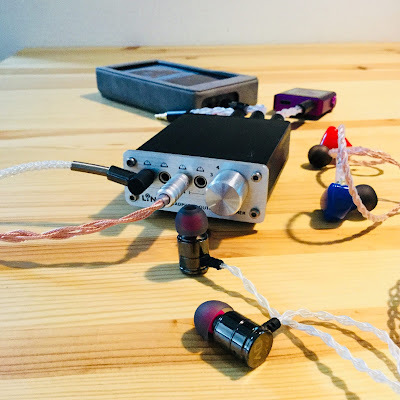 An earphone in the $100 category, excellent build. fairly even sound, with a bit of air, lightness, clarity, detail and slighty mids and treble focussed.